I thought I would share this Thank You card I made recently for my Nephew and his partner. They wanted to thank the hospital staff for the wonderful care they received leading up to and including the birth of their beautiful daughter Scarlett. Don't you just love the photo. The baby's Mum has a sister-in-law who is a photographer in Whyalla, South Australia. Rebecca Scharber Photography she does some amazing photos! Check out her Facebook page! Although this card isn't all Stampin' Up! products, it is mostly, apart from the spotty paper. It matched the colour scheme I was going for perfectly, so I couldn't go past it! I have used the Stampin' Up! Botanical Builder Framelit Dies (Item 140625 $54.00) to make the flowers and then run them through my dotty Embossing Folder which is sadly retired now but still a favourite. I was wondering how I was going to use the lovely big thank you and this was the perfect opportunity as the card is A4 size. The stamp is from Another Thank You Item136835 $28.00AU a photopolymer stamp set. I have heat embossed the sentiment using Melon Mambo embossing powder. Whenever Stampin' Up! bring out any new colours in their embossing powders, I always buy them. You just never know when that colour might be just what you need for a special project, like this one for me! The clear photo frame is a Sale-a-bration item from the Project Life Memories In The Making Specialty Card Collection. This item is FREE with a $90 purchase before postage. 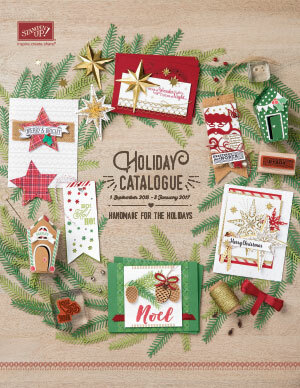 There are some lovely pieces in this collection to be used for your photos or as I have here in card making projects too. The Sale-a-bration promotion ends on 31st March 2016 so get your orders in quickly so you don't miss out! Check out the full brochure by clicking on the image over on the right hand side of this page. You can order online through my store, just click the Shop Now Button on this page, or, contact me and I can place the order for you. Have a lovely long Easter weekend! Hope you get time for some crafting I have a big list of things to do but some card making is in there too.